Cheap sling that glows in infrared spectrum. During a photo shoot, I snapped a few infrared images and noticed that one of the slings brought by a friend doesn’t look camouflaged anymore. It looks bright white. Through an night vision device, it would actually glow like a PT belt. That’s kind of visibility can be very bad for the person using it in case of a firefight. Quality sling retains camouflage pattern in IR part of the spectrum. I compared it to a better sling and found that it retained the same camo pattern through NVG. I have seen some Czechoslovak camo actually showing a different, also effective pattern in IR as a deliberate part of the design. So that’s one answer to what “better” gear does: it performs against observation by better equipped foes. 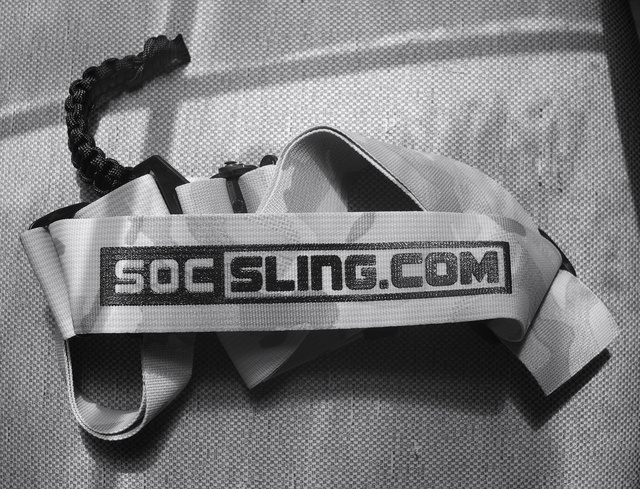 The SOC sling is also wider, more supportive, and its hardware is much quieter. 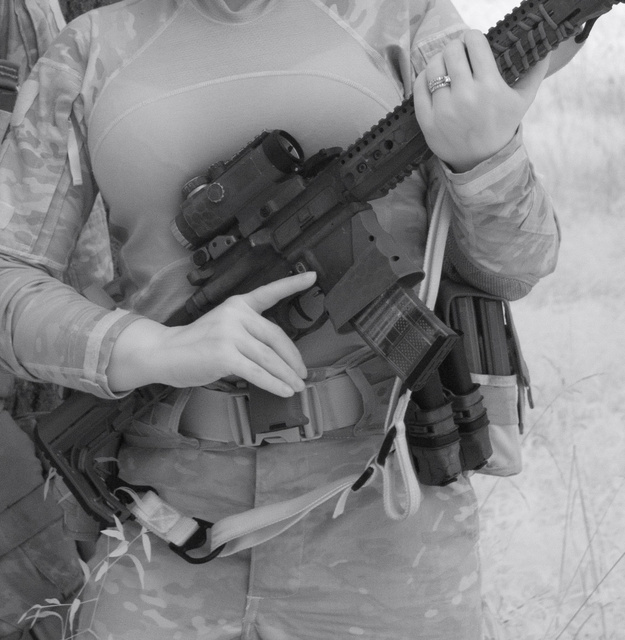 This entry was posted in rifle, wordpress and tagged gear, infrared, NVG, sling. Bookmark the permalink. 4 Responses to Quality is in the details. On the opposite side of the visible spectrum take your camo gear and look at it under a wally world black-light. It will surprise you. Also some of the detergents you use have UV-enhancers that will blow your camo up also. Game aniamales mk-1 God given eyeballs see pretty well in the UV area of vision. That is why I use special soap to wash my hunting clothes, scent and UV enhancer free. Old school cotton OG-107 gear might show as black in near IR, but at least is doesn’t scream “I GLOW IN THE DARK SO SHOOT ME”! Clever that you looked at the belt in near IR. Thank you. Some of our everyday laundry detergents contain “brighteners” that also work outside the visible spectrum. Some commercial textiles are sold that way. I’d wash the strap in hand soap and water, without bleach, before I threw it away. That should rinse out the brighteners.